Oct. 8, 2018, 3:37 p.m. PORT OF SPAIN, Trinidad – Chandrapaul Hemraj celebrated his selection to the WINDIES One-day squad for the Tour of India with his maiden WINDIES Super50 Cup hundred in a tidy all-round performance to lead Guyana Jaguars past WINDIES “B” by nine wickets on Sunday here. Hemraj hit an undefeated 103 and grabbed a pair of wickets, as the 10-time champion Jaguars clinched their first victory of the 2018-19 Tournament. Nicholas Pooran hit his third straight half-century and Kyle Hope supported with an even 50, as Trinidad & Tobago Red Force survived a scare from Canada to log a two-wicket victory. At the Brian Lara Cricket Academy:Chasing 193 for victory, Hemraj and fellow opener Trevor Griffith got the Jaguars off to a brisk start. But Griffith was caught behind off WINDIES Under-19 World Cup-winning pacer Chemar Holder for 14 in the seventh over to leave the Jags 40 for one. 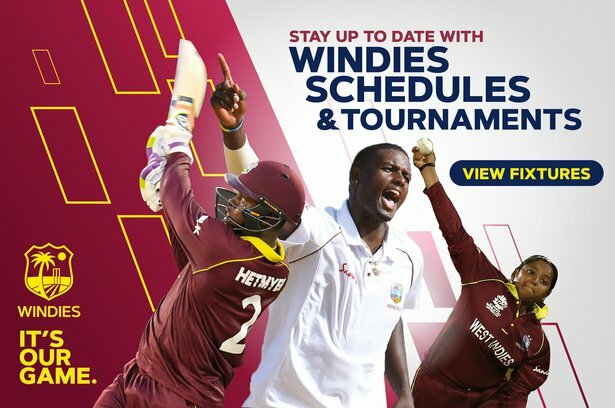 It was the only success for the WINDIES “B” bowlers, as Christopher Barnwell came to the crease and shared a 153-run, unbroken, second-wicket stand with Hemraj to take the Jaguars over the finish line. Hemraj ended with 12 fours and two sixes from 80 balls and Barnwell collected one four and three sixes in an unbeaten 61 from 71 balls, as the Jaguars reached their target with 130 balls remaining. Earlier, T&T-born pair of Keagan Simmons and Kirstan Kallicharran both made 44 to lead the WINDIES “B” batting before the composite side was bowled out for 192 in 47.1 overs, after they were put in to bat. 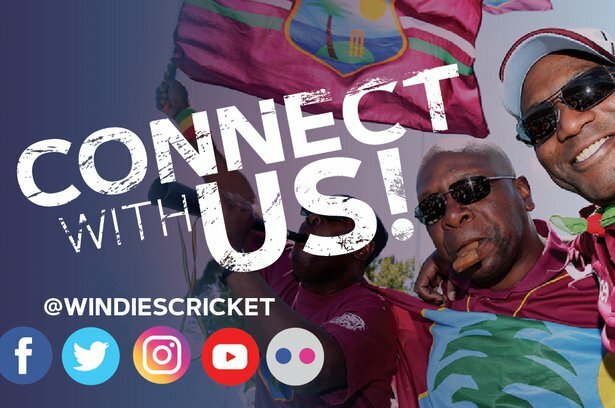 Hemraj bagged 2-28 from six overs, WINDIES left-arm fast-medium bowler Raymon Reifer snared 2-30 from 7.1 overs and left-arm spinner Veerasammy Permaul took 2-47 from 10 overs. At Queen’s Park Oval: Pooran followed up scores of 89 and 75 in the first two matches with 66 from 45 balls and Hope made 50 from 84 balls, as Red Force limped over the line with 56 balls remaining. Pooran and Hope put on 104 for the fourth wicket to put Red Force on course for victory, but Sukhdeep Brar snatched 3-39 in six overs to transform the complexion of the match. Red Force tumbled from 161 for three in the 33rd over and tumbled to 192 for eight in the 39th over before Rayad Emrit and Khary Pierre got them over the line. Earlier, several batsmen got starts without carrying on, as Canada reached 207 for seven from 50 overs, after they chose to bat. David Jacobs led the way with 37, Navneet Dhaliwal and Bhavindu Adhihetty made 32 apiece, Harsh Thaker scored 25, Nikhil Dutta added 23 and Brar got 21 for the Canadians. Emrit was the most successful Red Force bowler with 3-58 from 10 overs, Pierre collected 2-30 from 10 overs and Ravi Rampaul took 2-41 from 10 overs.